How does a city boy like me falls in love with hunting? – in a strange and pervasive way. Growing up in the densely populated city of 5 million dwellers was not helpful. My first big exposure to outdoors occurred at the age of 18, when my brother took me ice fishing. We arrived to his favorite lake early November and occupied the nearby shack used by farmers in summer. What was expected to be a mildly cold weather became a nightmare, with gusty wind and non-stop rain. My brother Lev was experienced ice fisherman, and I relied on his prowess to get us trough it. The ice on the lake was only inch-and-a half thick and from the distance I could see it bending under the weight of his body. This was something I have not experienced ever again in my life. I think if I was any older I would have turned away, but I trusted my brother and we pushed on. Falling rain made the ice smooth as glass and made walking up wind painfully slow. Moving downwind was another story – it was enough to stay still and the wind did the rest. Spreading hands wide made it faster. By the end of the day my clothes was soaked. I survived my first night outdoors by waking up every 15 minutes from painful muscle cramps to move and stretch and ended up building a huge fire outside and sitting by it for the rest of the night, my clothes steaming from evaporating water, the side exposed to the fire feeling warm and the opposite as cold as the water in the lake. What happened next? I wanted more and I joined my brother on his ice fishing trips often for several years to follow. I never liked fishing itself, but I loved living in wilderness and cutting holes by hand for my brother in a foot-or-two-thick ice, when the body gets so hot, that after taking layer by layer clothes off in minus 20 or 30 degrees feels like being in heaven. Chopping ice holes left plenty of time for me to explore hills around the lake, and I spent hours on my uniquely Russian short wide skies, trying to read stories of forest life written by its inhabitants as footprints. At first – just like learning the alphabet – I was happy to just recognize whom the footprints belonged to and later I progressed to recognise sentences of forest life and soon to figure out the whole stories. The forests around the lake were rich with wildlife, and the book to read was seemingly endless. The idea of buying a hunting gun came to me within a couple of years, but I bought one only when I was 25, close to graduation from medical school. I have never become a trophy hunter. Having a trophy on the wall of my den does not make me feel better about myself, or makes memories of my hunting trips more vivid. 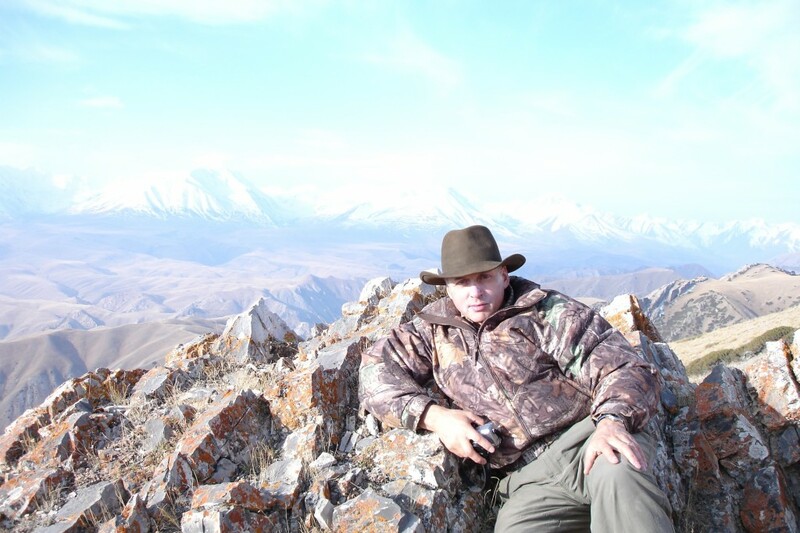 I love hunting for other reasons: physical challenge, camaraderie, being in the wilderness for a purpose other than sightseeing, experiencing different cultures and seeing my hunting buddies happy with their trophies.